The Gold Coast is one of Australia’s favourite places for a golf tours. Boasting over 20 golf courses to choose from there is no shortage of sand, water and bunkers. Situated close to Surfers Paradise you can stay and play with all your amenities at your doorstep. Below is a list of courses on the Gold Coast. 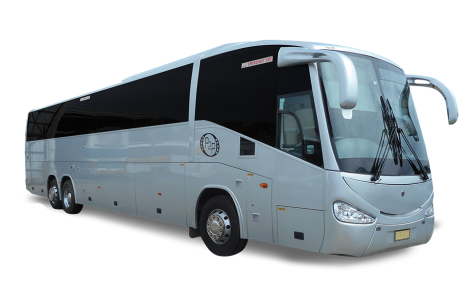 Our fleet of buses will pick you up from your resort and transport you to the various golf tours and courses in one of our luxury Mercedes. It took twenty five years for Jack Nicklaus to find the perfect location for his first signature golf course in Australia the vision is now a reality at Lakelands on Queensland’s Gold Coast. The golf course at Hope Island Resort is an 18 holes traditional “links” style championship course designed by five times British Open champion Peter Thomson and the team at Thomson, Wolveridge and Perrett. The course has been given a course rating of 74 by the AGU. The Glades boasts superb agronomy that is unique to the area. In particular the greens consist of a “Tropical Bent” grass that was specially developed for the Glades. Brookwater is an award-winning premier golf community in harmony with its environment. Encompassing a spectacular Greg Norman-designed championship golf course, life at Brookwater is like nothing else in South East Queensland. It is vivid, rich and inspiring. The Graham Marsh designed, 18 hole par 72 championship golf course at Emerald Lakes Golf Club is home to the best value golf on the Gold Coast. It is also the only par 36 golf course on the Gold Coast to offer Golf Under Lights, so you can play until 9:30pm, 7 days a week. Manicured fairways roll away through leafy avenues of tall natives trees as you sweep past flower gardens along the wide boulevard and up to the majestic colonial-style Clubhouse. There is a certain amount of mystery surrounding this private Fred Bolton designed course. The first championship course on the Gold Coast. Palm Meadows rests on over 350 hectares, just a few kilometres west of the heart of Surfers Paradise and Broadbeach. A par 72 measuring 6319 metres off the championship tees with water coming into play on 14 of the 18 holes, along with 82 challenging sand bunkers.